McAfee Predicts Continued Hacking of Retail POS in 2015 | Condor Solutions Ltd.
December 2014 — Intel® Security today released its McAfee Labs November 2014 Threats Report, including an analysis of threat activity in the third quarter of 2014, and the organization’s annual 2015 Threats Predictions for the coming year. The report details a third quarter filled with threat development milestones and cyber events exploiting long-established Internet trust standards. McAfee Labs forecasts a 2015 threat landscape shaped by more attacks exploiting these standards, new attack surfaces in mobile and Internet of Things (IoT), and increasingly sophisticated cyber espionage capabilities, including techniques capable of evading sandboxing detection technologies. In the third quarter, McAfee Labs detected more than 307 new threats every minute, or more than five every second, with mobile malware samples growing by 16 percent during the quarter, and overall malware surging by 76 percent year over year. The researchers also identified new attempts to take advantage of Internet trust models, including secure socket layer (SSL) vulnerabilities such as Heartbleed and BERserk, and the continued abuse of digital signatures to disguise malware as legitimate code. In 2015, McAfee Labs predicts malicious parties will seek to extend their ability to avoid detection over long periods, with non-state actors increasingly adopting cyber espionage capabilities for monitoring and collecting valuable data over extended targeted attack campaigns. The researchers predict more aggressive efforts to identify application, operating system, and network vulnerabilities, and an increasing focus on the limitations of sandboxing technologies as hackers attempt to evade application- and hypervisor-based detection. 1. Increased use of cyber warfare and espionage tactics. Cyber espionage attacks will continue to increase in frequency as long-term players will become stealthier information gatherers, while newcomers to cyber-attack capabilities will look for ways to steal sensitive information and disrupt their adversaries. o Established nation-state actors will work to enhance their ability to remain hidden on victim systems and networks. o Cybercriminals will continue to act more like nation-state cyber espionage actors, focusing on monitoring systems and gathering high-value intelligence on individuals, intellectual property, and operational intelligence. 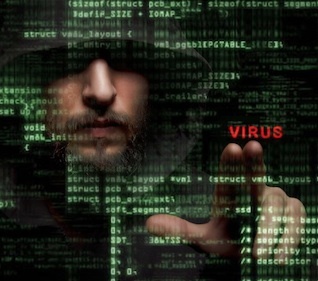 o McAfee Labs predicts that more small nation states and terror groups will use cyber warfare. o The increasing proliferation of IoT devices in environments such as health care could provide malicious parties access to personal data even more valuable than credit card data. For instance, according to the McAfee Labs report entitled Cybercrime Exposed: Cybercrime-as-a-Service, the cybercrime community currently values stolen health credentials at around $10 each, which is about 10 to 20 times the value of a stolen U.S. credit card number. o In 2015 we will see continued discussion and lack of clarity around what constitutes “personal information” and to what extent that information may be accessed and shared by state or private actors. o We will see a continued evolution in scope and content of data privacy rules and regulations, we may even see laws begin to regulate the use of previously anonymous data sets. o The European Union, countries in Latin America, as well as Australia, Japan, South Korea, Canada, and many others may enact more stringent data privacy laws and regulations. o We predict ransomware variants that manage to evade security software installed on a system will specifically target endpoints that subscribe to cloud-based storage solutions. o Once the endpoint has been infected, the ransomware will attempt to exploit the logged-on user’s stored credentials to also infect backed-up cloud storage data. o We expect the technique of ransomware targeting cloud-backed-up data to be repeated in the mobile space. o We expect a continued rise in mobile ransomware using virtual currency as the ransom payment method. o The growing availability of malware-generation kits and malware source code for mobile devices will lower the barrier to entry for cybercriminals targeting these devices. o Untrusted app stores will continue to be a major source of mobile malware. Traffic to these stores will be driven by “malvertising,” which has grown quickly on mobile platforms. o Despite current efforts by retailers to deploy more chip-and-pin cards and card readers, McAfee Labs sees continued growth in POS system breaches in 2015 based on the sheer numbers of POS devices that will need to be upgraded in North America. o Near field communications (NFC) digital payment technology will become an entirely new attack surface to exploit, unless user education can successfully guide users in taking control of NFC features on their mobile devices. o McAfee Labs predicts that the aftershocks of Shellshock with be felt for many years given the number of potentially vulnerable Unix or Linux devices, from routers to TVs, industrial controllers, flight systems, and critical infrastructure. o In 2015, this will drive a significant increase in non-Windows malware as attackers look to exploit the vulnerability. o McAfee Labs predicts that exploitation techniques such as stack pivoting, return- and jump-oriented programming, and a deeper understanding of 64-bit software will continue to drive the growth in the number of newly discovered vulnerabilities, as will the volume of malware that exploits those newly discovered vulnerabilities. o Vulnerabilities have been identified in the sandboxing technologies implemented with critical and popular applications. McAfee Labs predicts a growth in the number of techniques to exploit those vulnerabilities and escape application sandboxes. o Beyond application sandboxing, McAfee Labs predicts that 2015 will bring malware that can successfully exploit hypervisor vulnerabilities to break out of some security vendors’ standalone sandbox systems.